Tesla's CEO Elon Musk tweeted about the expansion plans after the company posted a profit of $311.5 million in the September quarter. One of the world's most innovative car maker Tesla Motors is coming to India by 2019. Tesla's CEO Elon Musk tweeted about the expansion plans after the company posted a profit of $311.5 million in the September quarter. Elon Musk said, "Hopefully, partial presence in India, Africa & South America end of next year, with broader expansion in 2020." This isn't the first time Space X CEO has shown interest to enter the Indian market. He had earlier said "Would love to be in India. Some challenging government regulations, unfortunately." He had also mentioned in a tweet, that he might even come to India in 2019. Would love to be in India. Some challenging government regulations, unfortunately. Deepak Ahuja, our CFO, is from India. Tesla will be there as soon as he believes we should. If Tesla enters the Indian market, it is likely to benefit from Indian government's policies focusing on electric vehicles such as Adoption and Manufacture of Hybrid and Electric Vehicles (FAME). In 2015, Musk gave a presentation to PM Modi on the development of technologies that are changing the face of the automobile industry. A Tesla Model X was also seen on the roads of Mumbai last year. Tesla in partnership with Panasonic is the largest electric-car-battery manufacturer in the world claiming almost 60 per cent of the global production. While Tesla will set up car production facilities in Europe and China, the company plans to set up battery manufacturing plants in every continent to keep the costs in line. 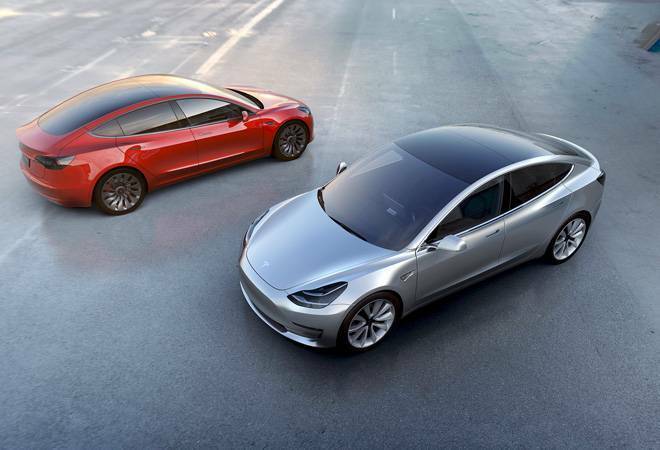 Currently, Tesla has Model S, Model X, Model 3 and the Roadster in their offering. The Model Y is also in the pre-production along with the improved Roadster, which is expected to be in the market by the year 2020.